The objective of every business is to grow, be it a start-up that’s just closed its first deal or an established market leader seeking to further increase profitability. But how does a business decide upon the best strategy for growth? 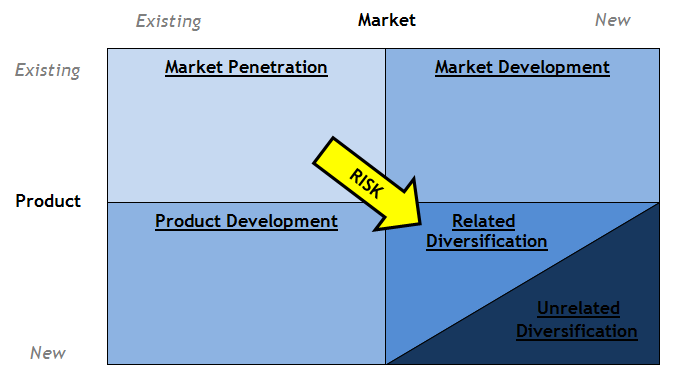 The Ansoff Matrix management tool offers a solution to this question by assessing the level of risk – considering whether to seek growth through existing or new products in existing or new markets. To demonstrate the robustness and legitimacy of Ansoff’s Matrix, it has been applied to Coca-Cola, the most well-known trade name in the world and a company today operating in over 200 countries; and a brand that has undertaken countless growth strategies in its 100+ year history. This strategy involves an attempt to increase market share within existing industries, either by selling more product to established customers or by finding new customers within these markets – typically by adapting the ‘Promotion’ element of the Marketing Mix. Due to the incredible strength of Coca-Cola’s brand, the company has been able to utilise market penetration on an annual basis by creating an association between Coca-Cola and Christmas, such as through the infamous Coca-Cola Christmas advert, which has helped boost sales during the festive period. For a full case study of a market penetration strategy, take a look at this article I recently wrote about its implementation at Heinz. This involves developing new products for existing markets by thinking about how new products can meet customer needs more closely and outperform competitors. A prime example of this was the launch of Cherry Coke in 1985 – Coca-Cola’s first extension beyond its original recipe – and a strategy prompted by small-scale competitors who had identified a profitable opportunity to add cherry-flavoured syrup to Coca-Cola and resell it. The company has since gone on to successfully launch other flavoured variants including lime, lemon and vanilla. For a full case study of a product development strategy, see my article on crisp brand Walkers’ ‘Do Us A Flavour’ campaign. Thirdly, the market development strategy entails finding a new group of buyers for an existing product. 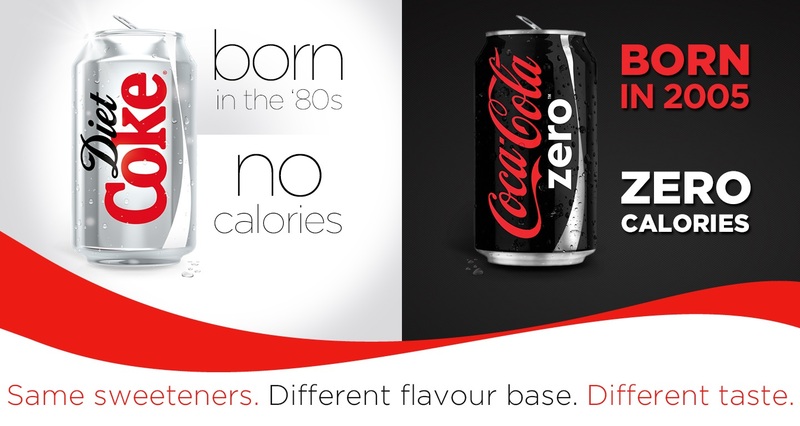 The launch of Coke Zero in 2005 was a classic example of this – its concept being identical to Diet Coke; the great taste of Coca-Cola but with zero sugar and low calories. Diet Coke was launched more than 30 years ago, and whilst more females drink it every day than any other soft drink brand, it came to light that young men shied away from it due to its consequential perception of being a woman’s drink. With its shiny black can and polar opposite advertising campaigns, Coke Zero has successfully generated a more ‘masculine’ appeal. For a full case study of a market development strategy, check out my post on Quorn’s recent emphasis on the protein content of its veggie meals. This involves the production of a new category of goods that complements the existing portfolio, in order to penetrate a new but related market. In 2007, Coca-Cola spent $4.1 billion to acquire Glaceau, including its health drink brand Vitaminwater. With a year-on-year decline in sales of carbonated soft drinks like Coca-Cola, the brand anticipates the drinks market may be heading less-sugary future – so has jumped on board the growing health drink sector. For a full case study of a related diversification strategy, take a look at this article I recently wrote on the launch of Aero into the hot chocolate industry. Finally, unrelated diversification entails entry into a new industry that lacks important similarities with the company’s existing markets. Coca-Cola generally avoids risky adventures into unknown territories and can instead utilise its brand strength to continue growing within the drinks industry. That said, Coca-Cola offers official merchandise from pens and glasses to fridges, therefore exploiting its strong brand advocacy through this strategy. A more comprehensive case study of unrelated diversification is explain in my article on Virgin’s frequent use of the strategy. Going back to the example of Coca-Cola, the firm’s emphasis on market penetration and other non-diversification strategies therefore suggests it is a relatively risk-averse company, when compared with a firm like the Virgin Group. That said, there is no one best strategy to select, with each offering different benefits to companies in various circumstances. For example, Coca-Cola has had little need to diversify relative to the Virgin brand which traditionally operates in uncertain markets such as the volatile airline industry, meaning diversification actually spreads risk. Even so, Coca-Cola would not be the power house it is today without knowing when to step out of its comfort zone – the Glaceau acquisition being a clear case in point. Even though there was minor potential that it could dilute Coca-Cola’s reputation for carbonated soft-drinks in the short term, it has been deemed a suitable strategy given the brand’s long-term view for growth in the face of a changing market. 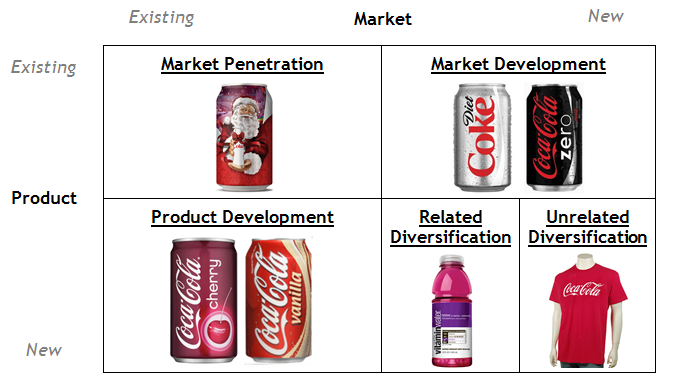 This entry was posted in Marketing Mix and tagged Ansoff Matrix, Brand Advocacy, Branding, Cherry Coke, Coca-Cola, Coke Zero, Diet Coke, Market Development, Market Penetration, Product Development, Related Diversification, Unrelated Diversification, Vanilla Coke, Virgin, Virgin Group, Vitaminwater. Bookmark the permalink. I think this is great- very good practical example of the application of the Ansoff matrix (product-expansion grid). Good article, Ansoff model well explained. I like the manner of explaining it. Very good example of how to use /apply the Ansoff Matix. This will defintely helps me prepare my assignment. They are Good article, Ansoff demonstrate very much clarified. I like the way of clarifying it. thank you so much. they are the best examples for market strategies.